The aroma that fills the house while baking is wonderful. This is how it looks just out of the oven. 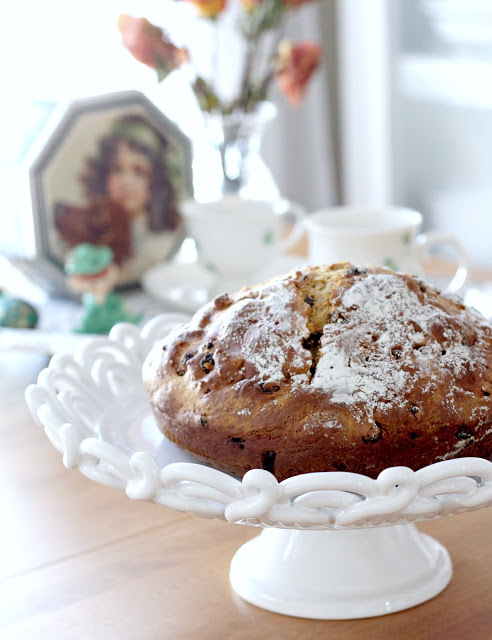 Soda bread is a quick bread. 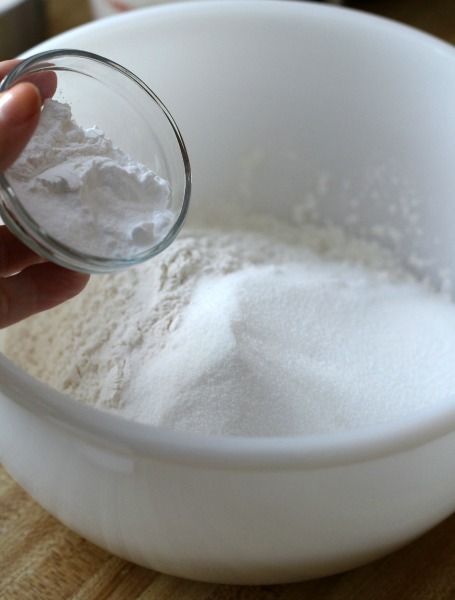 Sodium bicarbonate (baking soda) is used as a leavening agent instead of the traditional yeast. 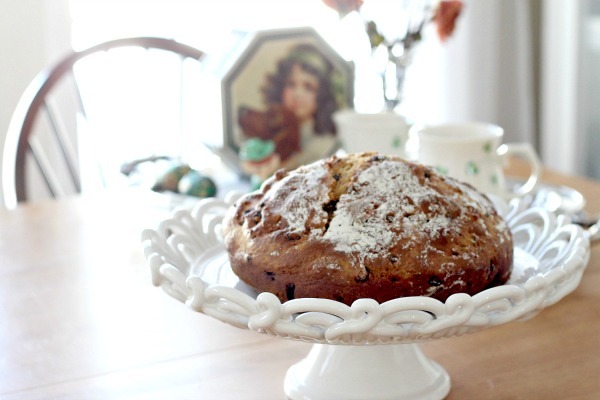 The ingredients of traditional soda bread are flour, baking soda, salt, and buttermilk. 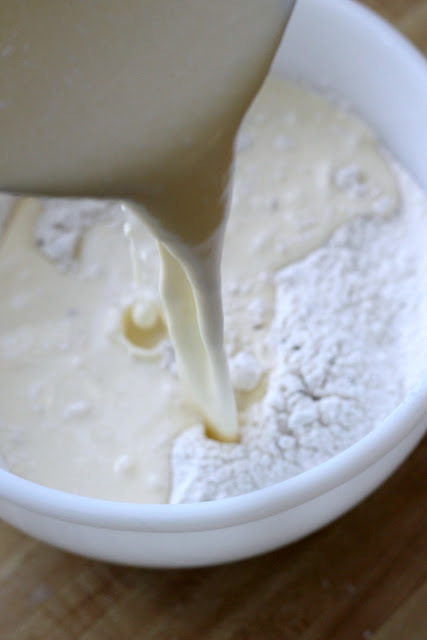 The buttermilk in the dough contains lactic acid, which reacts with the baking soda to form tiny bubbles of carbon dioxide. 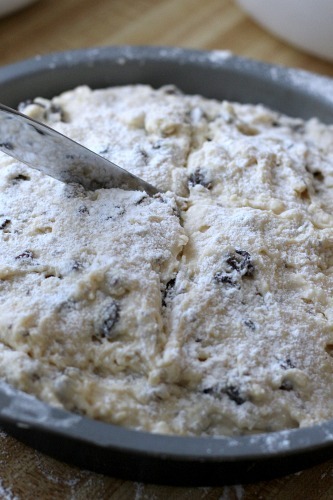 Other ingredients such as butter, egg, raisins, spices or nuts can be added. An advantage of quick breads is their ability to be prepared quickly, without requiring the time and temperature control needed for traditional yeast breads. Preheat oven to 350 degrees. Grease a 9-inch round cake pan. Set aside. 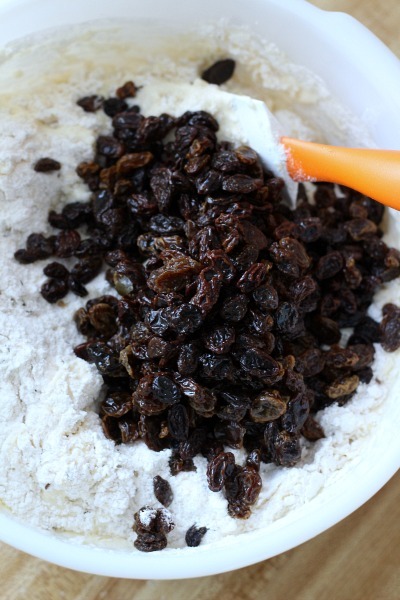 In a large mixing bowl, combine flour (reserving the extra), sugar, baking powder and soda, salt, raisins and caraway seeds. 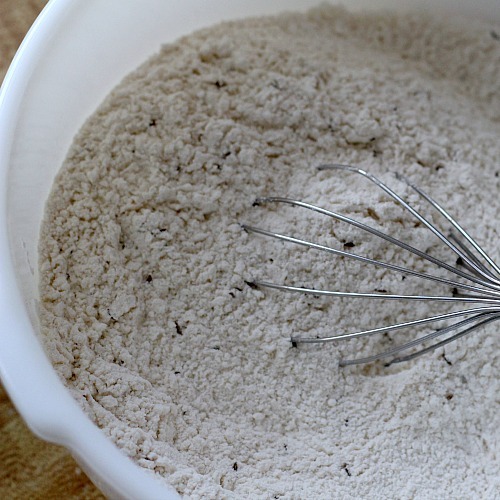 Whisk well to thoroughly mix the dry ingredients. 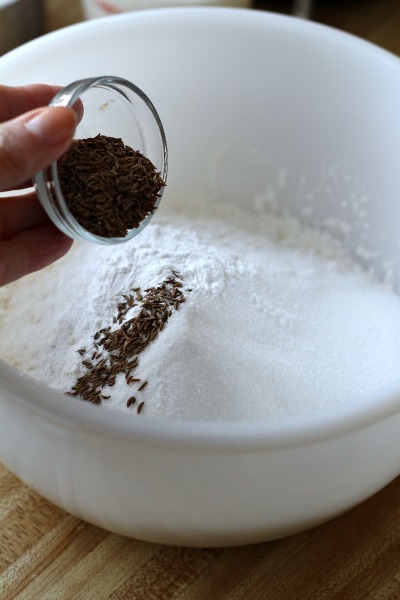 Add the wet mixture to the dry and stir just until blended. Heavens, I almost forgot to add the raisins! 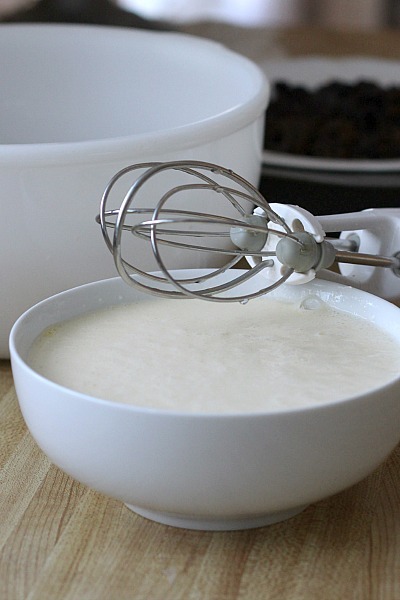 Stir just until all dry ingredients are moistened being careful not to over mix. Spoon batter into the prepared pan. Dust with the remaining flour. Dip a knife in flour and make an X mark into the top. Batter will be sticky. Bake for 50 to 65 minutes, until a blade or pick inserted into center comes out clean. When cool, slice into wedges to serve. 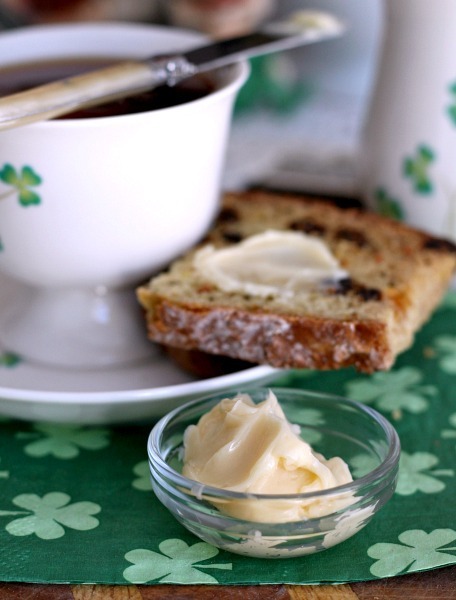 For a yummy spread, blend some softened butter with honey to taste and serve as a spread. For a single serving amount, I stirred together 1 tablespoon butter with 1/2 teaspoon honey. 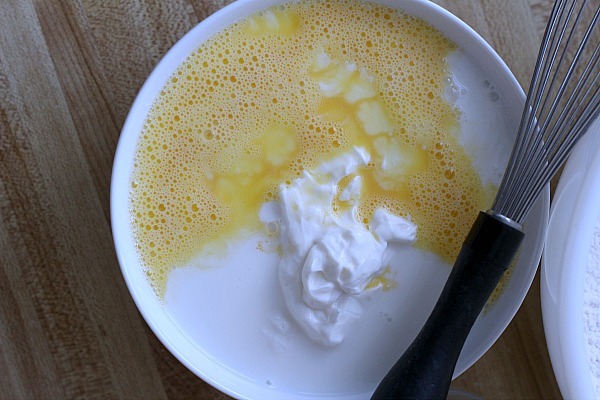 In a smaller bowl, blend together the eggs, buttermilk and sour cream. Add the wet mixture to the dry and stir just until blended. Spoon into the prepared pan. Dust with the remaining flour. 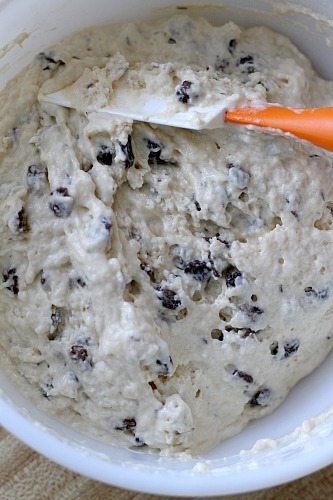 Dip a knife in flour and make an X mark into the top. Bake about 60 minutes, until a blade inserted comes out clean. Note: Blend some softened butter with honey to taste and serve as a spread. For a single serving, I blended 1 Tbs butter with ½ tsp honey. ” Be Thou My Vision” is a hymn derived from an 8th century Irish folk song. It expresses a desire for God’s hand in our lives and a longing to be in His presence. The first words are credited to Dallan Forgaill in a work entitled, Rob tu mo bhoile, a Comdi cride. Mary Bryne, in Dublin, Ireland, first translated the entire Irish folk song into English in 1905. Eleanor H. Hull converted the lyrics to “Be Thou My Vision” into verse in 1905. The folk song got its start in Ireland around 433 AD, when on the night before Easter; St. Patrick defied a royal decree by lighting candles. High King Logaire of Tara had traditionally lit a fire beginning a pagan spring festival. It was his order that no one could light a fire before him on this night. When Logaire learned of St. Patrick’s arrogance, he was so impressed he let him continue services. Above information found here. 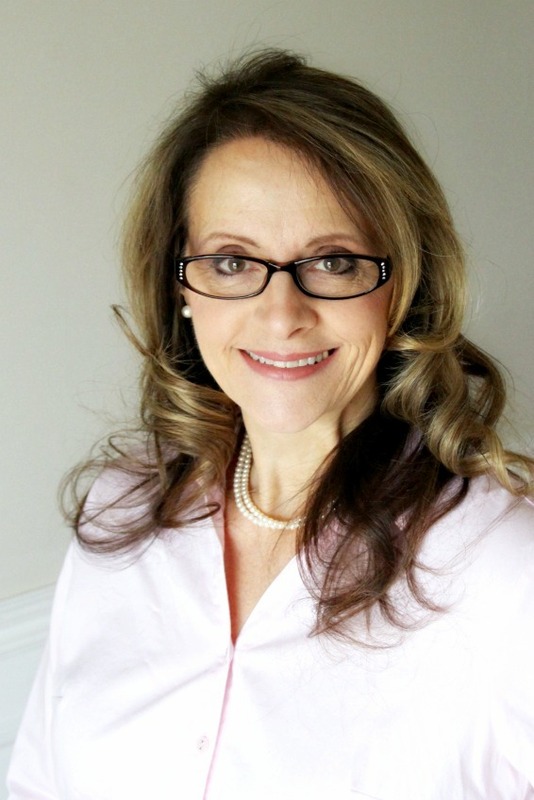 Love this blog, love hymns! It's always good to find a new sister in the Lord. If you know what your MOST POPULAR recipe ever is, I'd love to know and for you to link it in our Star Recipes Collection (recently started but growing daily)! I'm exciting about an upcoming Sunday blog series we're doing that will tie in food and faith also. Would love for you to check it out and get your thoughts! Oh My does that look yummy! 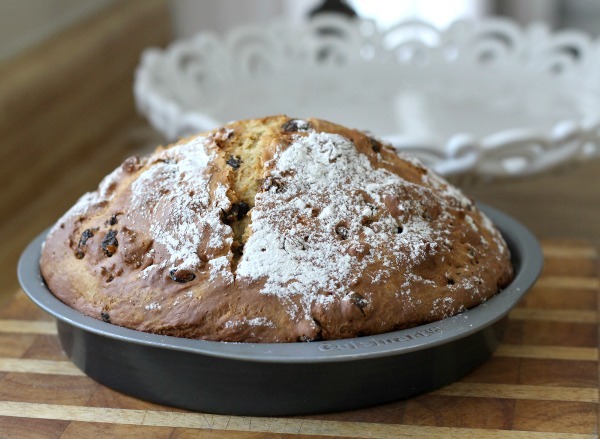 Oooooooooooooooh that Irish soda bread looks devine! Sure wish I hadn’t given up white flour for lent. Argh. That soda bread looks fantastic. I’m going to copy down that recipe, not long till St Patrick’s day! Thanks for the history behind that hymn. I find the words of the old hymns so thought-provoking, which is unfortunately something often missing from modern choruses. I think it’s really important to worship using a variety of styles of music, otherwise we become all heart and no head, or the other way round! Be Thou My Vision is one of my absolute favorite hymns….. the words are indeed so rich and the tune is just beautiful! 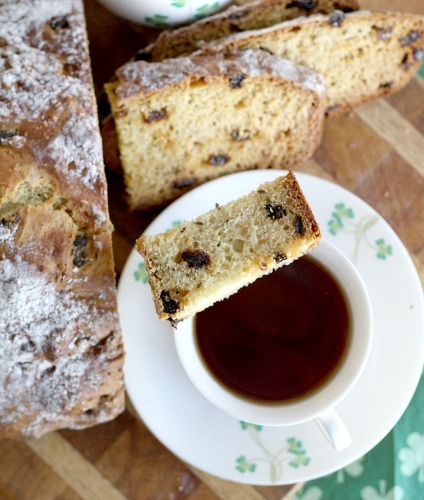 😉 Oh and your Irish soda bread looks absolutely scrumptious…. I can’t wait to make it. Hope you had a very sweet Sunday, dear friend! Thank you for the lyrics. I love this hymn! What a beautiful hymn! The words are so true! Thanks for sharing the video but more importantly writing out the words for us! That recipe looks so yummy. My sister is dating an Irish guy. Maybe I should make some of this the next time we have them over. 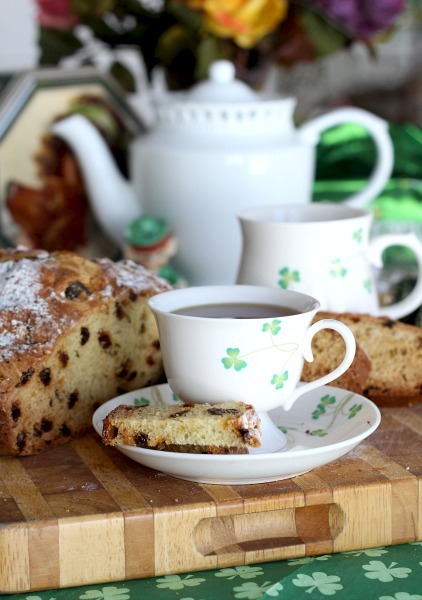 Thanks for the Irish Soda Bread recipe. I have always wanted to make some but never have. I’ll think I’ll give it a shot this week. That hymn is most favorite. Nice to hear a little of the history behind it and it’s Irish heritage.